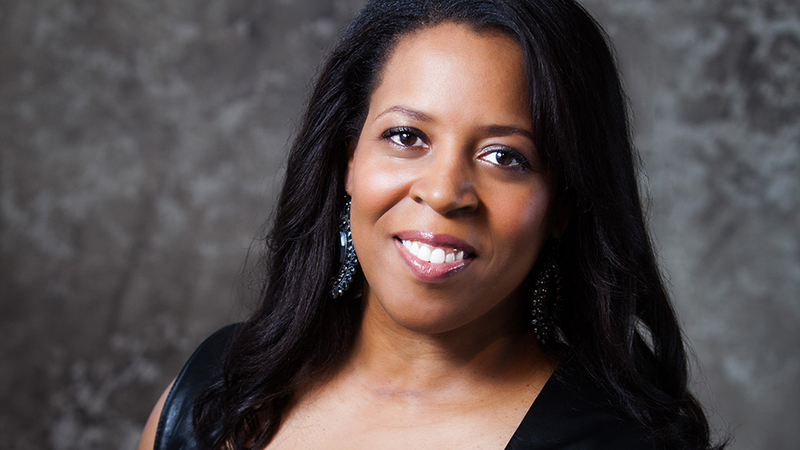 Internationally Acclaimed Valerie Coleman Joins Frost School as Assistant Professor of Performance, Chamber Music, and Entrepreneurship. The Frost School of Music at the University of Miami is pleased to announce that Valerie Coleman will join the faculty as Assistant Professor of Performance, Chamber Music and Entrepreneurship beginning August of 2018. In her new position, Ms. Coleman will have a leadership role in the comprehensive 21st century skills building for performing musicians. Ms. Coleman is an internationally acclaimed, GRAMMY® nominated flutist, composer and entrepreneur. She is an alumna of Chamber Music Society of Lincoln Center CMS Two Fellowship, Concert Artists Guild, and creator of the ensemble Imani Winds. Listed as “one of the Top 35 Women Composers” in the Washington Post by critic Anne Midgette, Ms. Coleman has received composer awards such as the Herb Alpert Awards Ragdale Prize, Van Lier Fellowship, MAPFund, ASCAP Honors Award, and nominations from The Academy of Arts and Letters, and United States Artists. Her work, UMOJA, was listed by the Chamber Music America as one of the “Top 101 Great American Ensemble Works” and is a staple within woodwind literature. The Los Angeles Times referred to her Afro-Cuban Concerto as an “engaging showpiece, deftly woven polyrhythmic lines -- suggesting the pulse of Cuban clave and even James Brown.” The Boston Globe describes her as having “talent for delineating form and emotion with shifts between ingeniously varied instrumental combinations”, The New York Times observes her compositions as “skillfully wrought, buoyant music.”, and critic Steve Metcalf of the Hartford Courant refers to her as “The composer who almost made me forget Mozart”. Ms. Coleman was recently awarded a grant from Chamber Music America to fund a commission for the ensemble OboeBass. In commenting Ms. Coleman stated: “Frost School of Music is such an innovative place whose faculty and mission reflect my own beliefs in fostering the 21st Century musician within a familial setting. Being a part of the Frost family is nothing less than kismet; I am elated and proud to join a family that warmly welcomes all the facets of what I do and I am grateful that this position was created to support that. Ms. Coleman’s performances span the globe from Carnegie Hall and the Kennedy Center, to Wigmore Hall and Chamber Music New Zealand. Her flute and pen have dived into various genres of collaborative performances with artists like Wayne Shorter, Paquito D’Rivera, David Shifrin, Jason Moran, Simon Shaheen, Steve Coleman, Harlem String Quartet and Orion String Quartet. Commission highlights include the Orpheus Chamber Orchestra, The Collegiate Band Directors National Association, Chamber Music Northwest, Virginia Polytechnic Institute, National Flute Association, The San Francisco Chamber Orchestra, Hartford Symphony Orchestra, and The Universities of Chicago, South Carolina, Michigan, Virginia Commonwealth, Hawaii Manoa and Ohio State. She is “on the air" with Sirius XM, NPR, WNYC, WQXR and Minnesota Public Radio and abroad including RadioFrance, Australian Broadcast Company, and Radio NZ. She can be heard on the labels Naxos, Sony Classical, Deutsche Grammophon, eOne and Cedille Records. Ms. Coleman is a highly sought-after clinician who has given masterclasses at institutions in 49 states, including The Eastman School of Music, The Juilliard School, Curtis Institute, Manhattan School of Music, Mannes College of Music, Yale University, Carnegie Mellon, New England Conservatory, Oberlin College, and Interlochen Arts Academy; and over 5 continents, from Beijing Conservatory, to Brazil’s Campo do Jordão Festival, and Australia’s Musica Viva. She was also an adjudicator for APAP’s Young Performing Concert Artists fellowship, ASCAP’s Morton Gould Award, MapFund Award and the Fischoff National Chamber Music Competition. In 2011, she created a summer mentorship program in NYC, called Imani Winds Chamber Music Festival, which has welcomed musicians from over 100 institutions both nationally and abroad. Valerie was recently an artist-in-residence at Mannes College of Music, Banff Chamber Music Intensive, and the University of Chicago. She is published by Theodore Presser, International Opus and her own company, V Coleman Music.